On Tuesday the 4th of December the long awaited ESL Pro League Season 8 Finals are kicking off with 16 of the world’s best CS:GO teams. The Danes in Astralis won last year’s tournament and after an amazing year filled with success they’re also the favorites to win this year’s. There is, however, some really stiff competition in the event such as Team Liquid, Mousesports and Natus Vincere, which means that every CS:GO fan who will be following the heat of the action on Twitch is in for quite a treat. The tournament begins with a group stage and on Tuesday all of the competing teams will play their first match at the same time, 04:00 pm. With this much excitement it will definitely be an evening to remember, but as always having one or several real money bets placed takes that thrill to a whole new level. 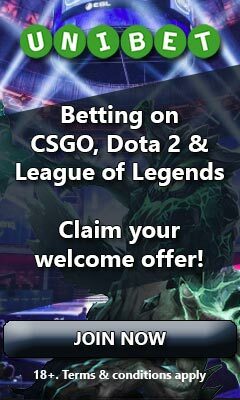 To get the most value out of the experience we have done a comparison of the match winner odds on all 8 matches using six top notch eSport betting sites. You’ll find this comparison below (split into two tables with three bookmakers on each) with all of the best odds for each team winning conveniently highlighted in yellow. Please note that the odds provided in the article are subject to change.